Chocolate for breakfast? Don’t mind if I do! 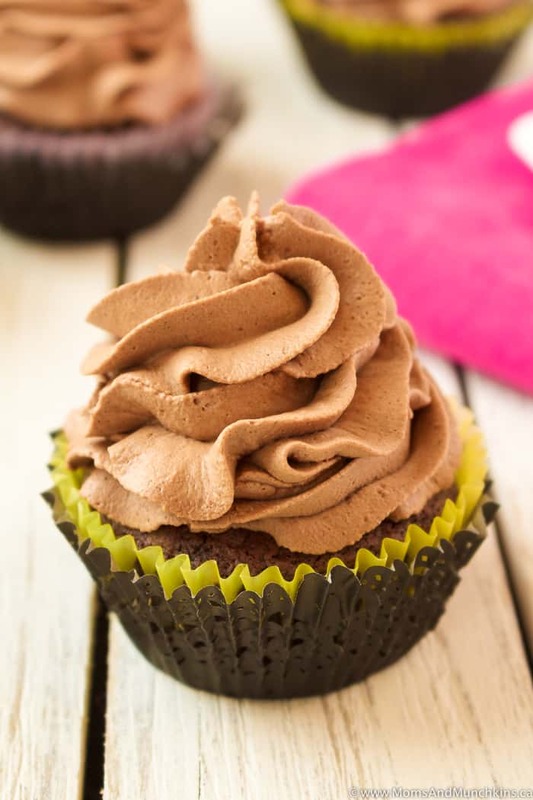 Okay, these aren’t exactly a breakfast food but I was done baking this morning and since I’m the official blog taste tester I had to try one of these Double Chocolate Cupcakes. Maybe two…don’t judge me! 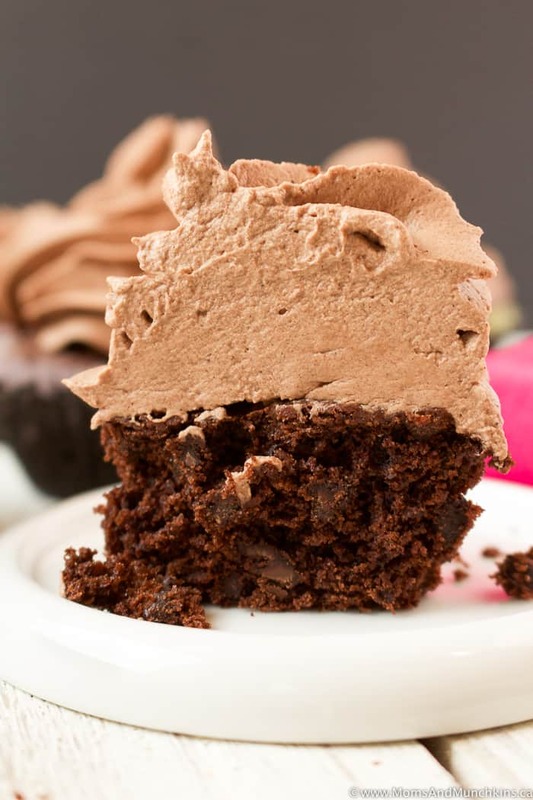 Seriously though, this chocolate whipped cream is incredibly delicious as cupcake frosting but it would make a great fruit dip too. Now I’m wishing I had leftovers for a midnight snack. 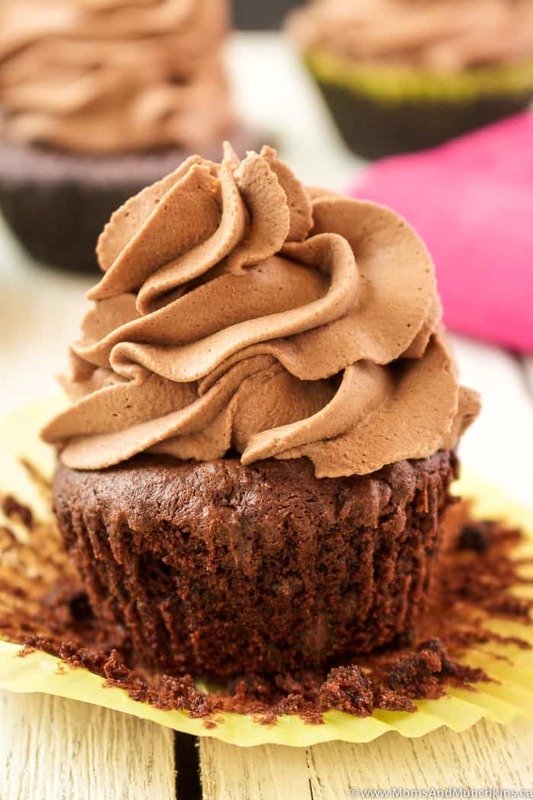 The chocolate whipped cream doesn’t hold its shape for long on top of a cupcake so you’ll want to frost them just before you’re ready to eat them. The chocolate whipped cream doesn't hold its shape for long so you'll want to make the frosting just right before you need it. This recipe makes 18 cupcakes. Line 18 muffin tins with cupcake liners. Melt the butter and chocolate together in the microwave. Start with 30 seconds then stir it well. If not melted yet, heat for another 30 seconds and stir well to mix. You want this melted but not hot. Set this aside to cool. In a large bowl, beat the eggs, sugar, vanilla and sour cream on medium speed until smooth. Add the cooled chocolate mixture to the wet ingredients and beat just until mixed. In a separate bowl, combine the cocoa powder, flour, baking soda, baking powder and salt. Stir well to mix. Gradually add the dry ingredients to the wet ingredients and beat just until mixed. Do not over mix this. The batter will be thick. In a large bowl, add the heavy cream, cocoa powder, and powdered sugar. Beat with an electric mixer on high speed until stiff peaks form and the whipped cream can hold its shape. Let cupcakes cool completely before frosting. Store in refrigerator. The whipped cream will only last 2-3 days and you'll only want to frost the cupcakes right before eating them. 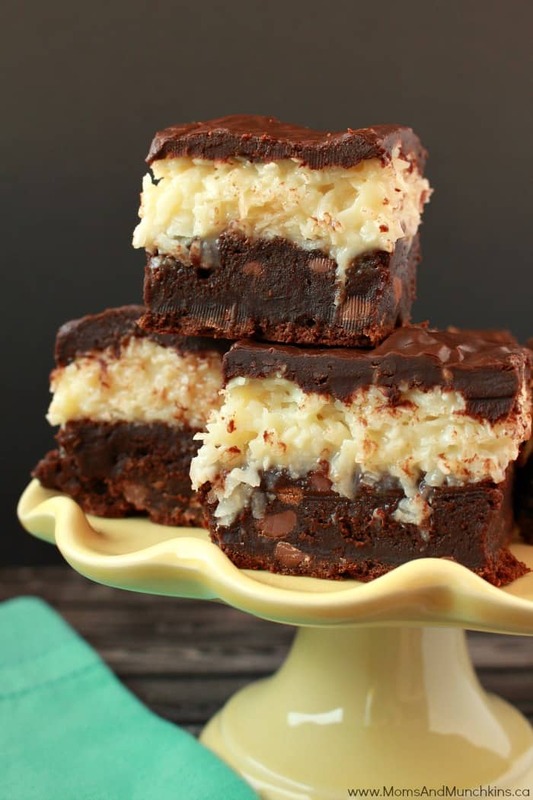 Chocolate Coconut Brownies – drool alert! 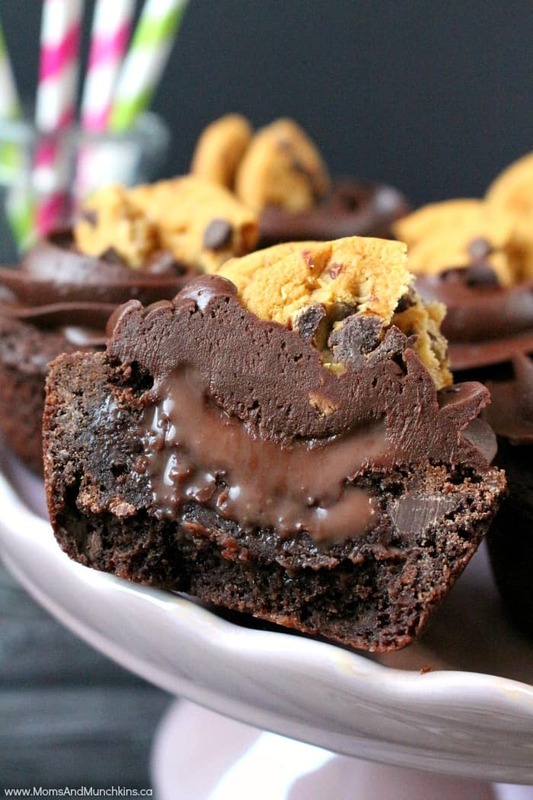 Chocolate Cookie Cups – filled with ganache. Yum! Find even more delicious ideas on our Recipes page. Never miss an update by following us on Facebook, Instagram, Twitter and Pinterest.